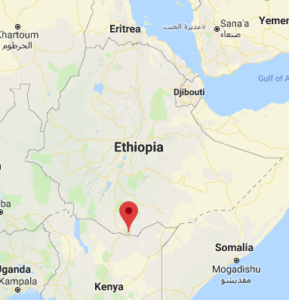 Twelve people were killed in the past three days of renewed ethnic conflict in Moyale, Southern Ethiopia, as seventeen others were wounded. Legal and human rights advisor to the President of the Somali region, Jamal Diriye said the new round of clashes between the Somali and armed Oromo groups is feared to turn Southern Ethiopia into a volatile and crisis region. He said the recent clashes were sparked by deadly actions taken by the Oromo armed groups. Diriye said the Somali and Oromo regional governments should seek immediate solution before the crisis go out of hand. Two main highways have been shutdown as a result of the conflict which hampered the delivery of humanitarian aid to areas bordering the Somali and Oromo regions. ESAT attempted to obtain further and detail information on the crisis from the Oromo regional government but only received a brief response from the deputy head of the regional security bureau, Col. Abebe Geresu, who said the conflict was not new and the two regions would seek solutions. Last year, clashes between the two communities left hundreds dead and over a million people displaced resulting in a humanitarian crisis in the region.